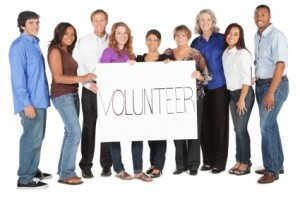 Volunteers are the backbone of AVAC. We need your help! It takes over 400 faithful volunteers to run our many programs. If you are interested in volunteering through one or more of our programs, please contact the AVAC office at 724-226-0606 or through our contact page. Volunteers are fundamental to the IHN program: offering dignified and compassionate assistance to families who have suffered the ordeal of losing their home. Volunteers make a difference in the lives of these families. Through simple things like talking and listening to guests volunteers can provide a context for the restoration of the human spirit, when hope has been lost. Volunteers are needed to help host churches provide various services: cooking and serving meals, playing with children or helping them with homework, helping with laundry, etc. There are a variety of tasks for food bank volunteers. Let us know which of the following you are interested in: unload deliveries, stock shelves, distribution, office work, van driver, pick up donated food, bakery pickups, holiday setup and distribution, phone calls, help clients carry their bags, and greeters. Help fight the isolation that often accompanies illness and old age. Volunteers in the Faith in Action program visit and call people who live alone; run errands; drive people to religious services, doctors and the grocery store; connect people with community services; provide light housekeeping; and do minor home repairs for seniors and people with disabilities residing in the Highlands School District area (we look forward to expanding this new aspect of our program). You can help share the Word of God by volunteering to record devotions in our Dial-a-Devotion Ministry. It only takes a brief recording session to provide this service and participate in Jesus’ commission to go into all the world and spread the Gospel.